Inspired by the classic movie poster for the Great Escape. The front of course bears our logo, and the back of the jersey has rays of light coming from a search tower over barbed wire. Have you just made your escape? Or is is a lighthouse, beckoning you to enter past the barbed wire to a land of forbidden trails? Or both? What is ТИРАНИЯ? Tyranny Portage Rationale: custom bags handmade right here in DC. Jake's rationale meshes with our philosophy and we are proud to rock his gear. 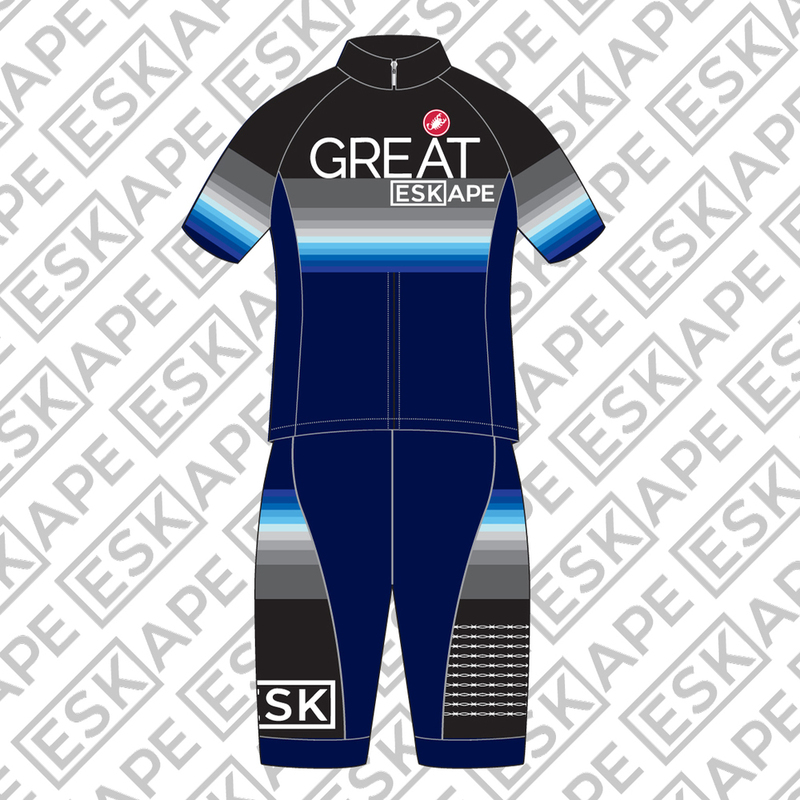 This kit marks our first collaboration: Eskape the Tyranny. Made in the USA with high-quality fabrics. Seriously, the quality is awesome. I am hard on my gear, and this stuff has stood the test of time, and a good numbers of falls in the dirt. The only problem I have ever had with Castelli gear is that I'm too fat for the sizes I wish I could wear. It is unapologetically race-cut, but if you like a looser club cut you can order a size up. No guarantees, but you never know! So...get your order on now and Eskape the Tyranny!